A career as a pharmacy tech offers opportunities to work in a variety of locations. Whether you choose to work in a hospital, medical office, independent pharmacy or in another location, you need to be prepared to answer why you want to work in that specific sort of facility. Be honest about your reasons but also do your research and be able to cite why you prefer that type of facility or that specific company as your dream work location. How Did Your Education Prepare You For Working In Pharmacy Tech? Every future employer will want to know how qualified you are to work in that field. Working as a pharmacy technician is no exception. You’ll want to tell your prospective employer important techniques you learned and the topics you studied that will benefit you, and them, in this chosen career. Whether you went to a brick and mortar school or attended one of the pharmacy technician schools online, like the one offered at Ashworth College, you can use your education, diploma or degree to help you land your job. How Have You Handled A Difficult Doctor Or Customer? Working in the pharmacy tech industry means you’ll inevitably have to communicate with customers face to face, and doctors and insurance companies by phone and email. Future employers want to know up front how you handle interpersonal relations, deal with different personality types and how you diffuse tense situations. Explain in a matter-of-fact-way how you have capably dealt with difficult people and less than ideal instances, and employers will be more interested in hiring you. The pharmaceutical industry is fast-paced and ever-changing and working as a pharmacy tech ensures every day on the job will be different. 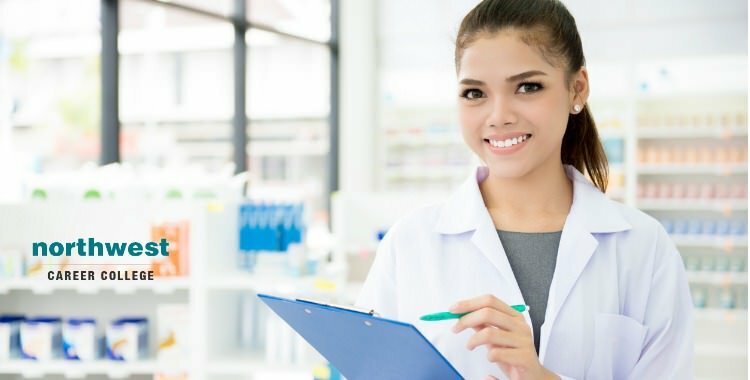 Although your interview may seem daunting, by being prepared and reading these pharmacy tech interview questions, you can confidently meet every interview on its own terms. Previous Blog: Working As An Office Massage TherapistNext Blog: What Does it Take to Become a Medical Assistant?